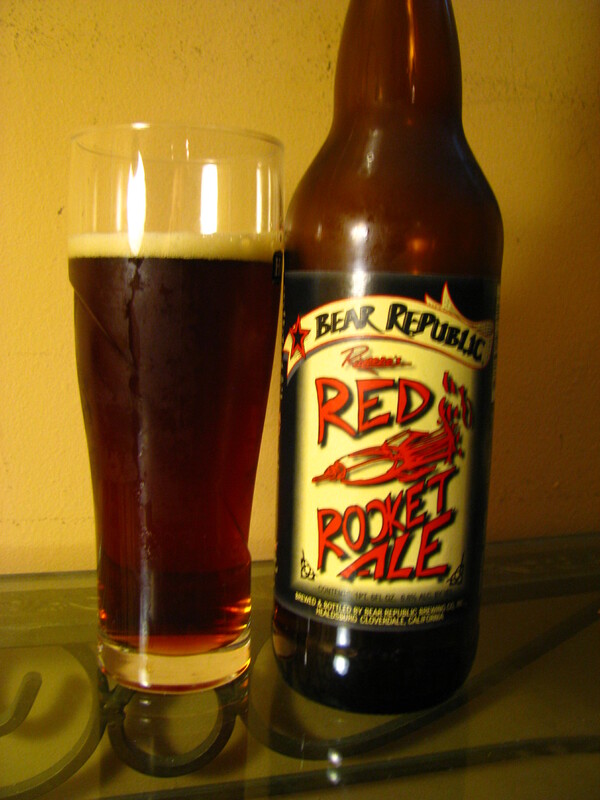 I picked up a bottle of Red Rocket Ale from Bear Republic Brewing Co.while I was away in Atlantic City. I grabbed it for my husband and I to try and I can say that it was a great beer. It pours an Amber Red color, that’s a bit hoppy and not too carbonated. It has a Slight taste of Caramel, toffee and some citrus. Overrall I really enjoyed this beer. This beer I think would go great with some Steak or Chicken dinner. I give it an 8 out of 10. Love Bear Republic! Racer 5’s my favorite beer, actually! Enjoy!! !